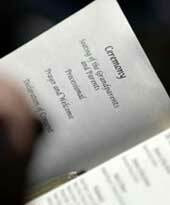 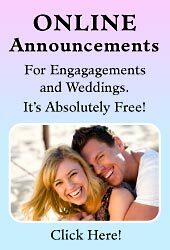 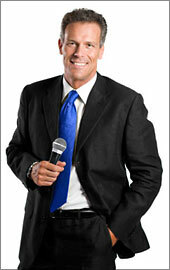 It best suits black and white wedding themes with black and white wedding decorations and some silver accents and decor. 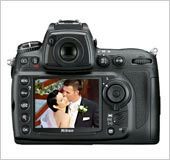 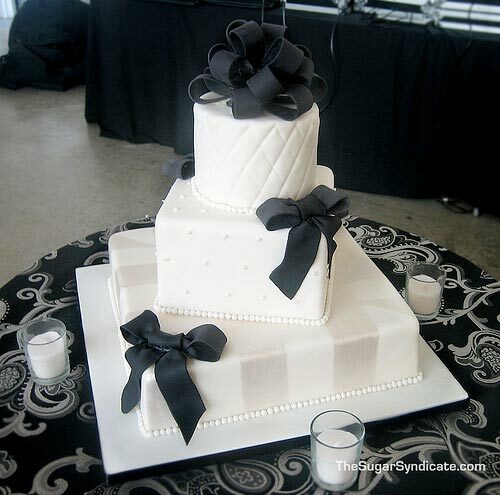 The most common wedding cake decoration for a black and white wedding cake is black organza or satin ribbons. 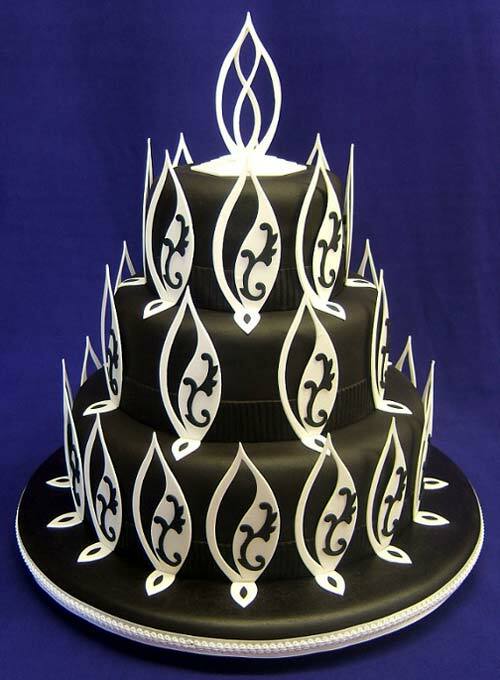 Of course, black wedding cakes are less appropriate, as they look so unappetising....but ah! 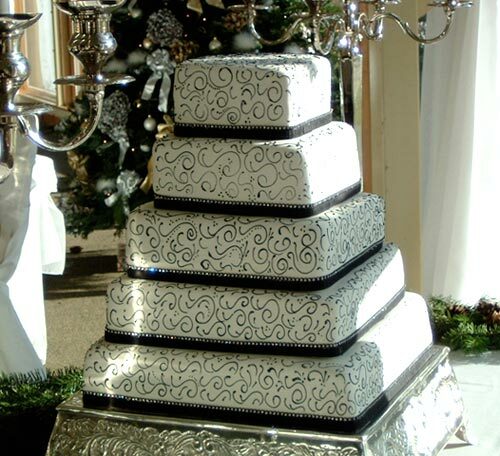 If the wedding cake were a contrast of white and dark chocolate, as in the last picture in this page.....All the chocolate lovers would be salivating and wouldn't that be grand! 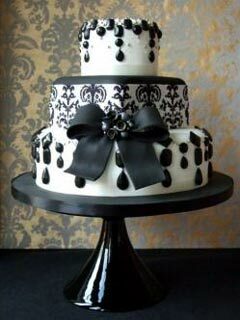 Here are some black and white cakes and pictures of wedding cakes suitable for semi-formal and formal weddings. 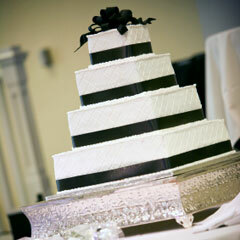 Traditional square two tiered white wedding cake with black satin ribbon. 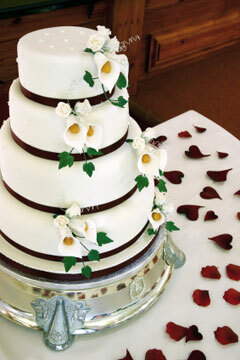 Decorated with fresh red roses. 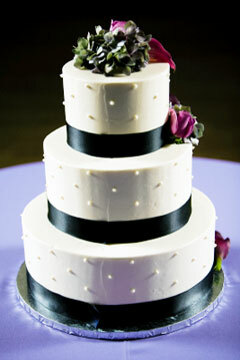 Round three tiered wedding cake with black ribbons and coloured fresh flowers decorated with buttercream dots. 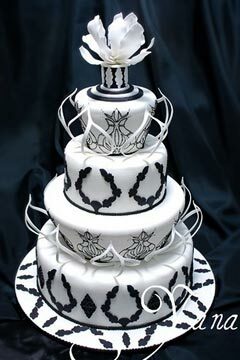 Round three tiered white and black wedding cake with lot of decorative buttercream scrolls. 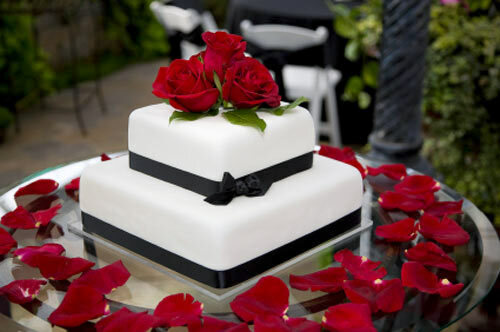 Elegant small two tier white and black wedding cake, covered with rolled fondant and decorated with a white roses cake topper. 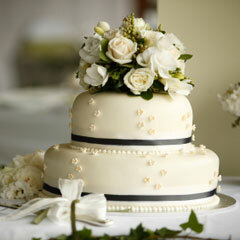 Simple square four tiered wedding cake. 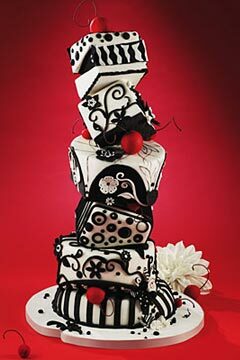 Each tier is wrapped with thick black ribbon and a decorative ribbon design as the cake topper. 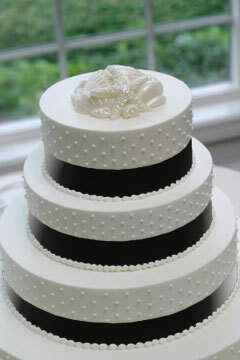 White and black fondant wedding cake decorated with hand scuptured white sugar Calla Lillies and black ribbon. 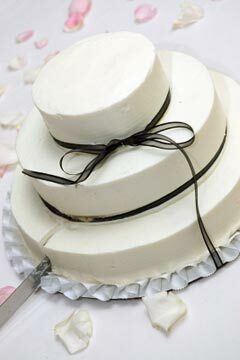 White simple wedding cake tied with thin black organza ribbon. 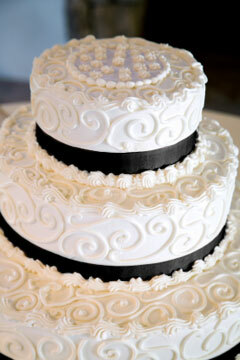 Classic sleek black and white cake. 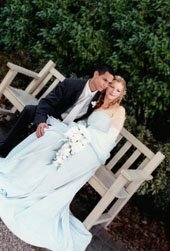 Decorated with white shells and thick satin ribbon. 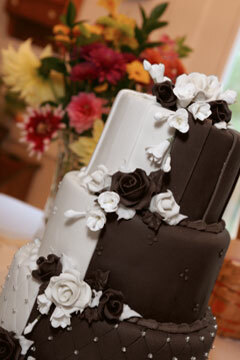 White chocolate and dark chocolate wedding cake with sugar flowers and small silver ball accents. 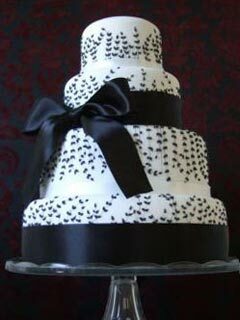 Black and white wedding cake designs look their best with black satin ribbons wrapped around the tiers and fresh white flowers. 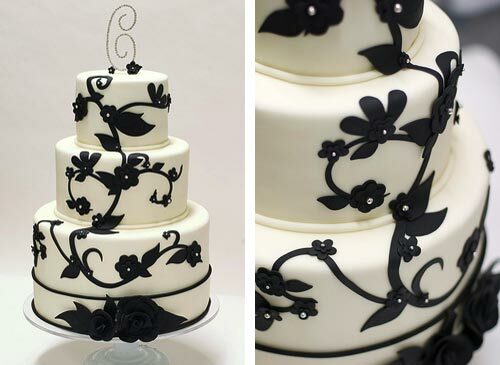 White flowers are also the perfect wedding cake topper suitable for those determined to have that all black wedding cake. 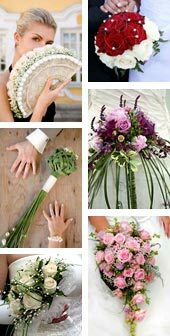 Fairy Godmother tip; If you must add another colour, then pick only one extra colour to the palette and use it minimally.